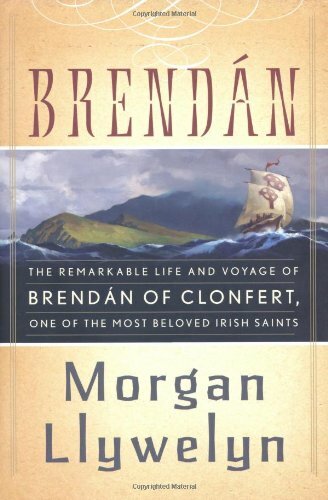 This is the story of Saint Brendán the Navigator, whose legendary quest to find the Isle of the Blessed is one of the most remarkable and enduring of early Christian tales. Among Irish saints, Brendán the Navigator is second only to Patrick. Founder of several Christian monasteries, he most famously guided a group of monks on a dangerous journey into the unknown vastness of the ocean on a search for Paradise. Based on the medieval “Life of St. Brendan,” Morgan Llywelyn’s imaginative retelling of the Christian legend of this most remarkable man is a lyrical and surprising feast for the mind and heart. It is a story of truth and transcendence, of inner strength and daily discipline, of love and longing, and of towering faith. And of course, miracles.